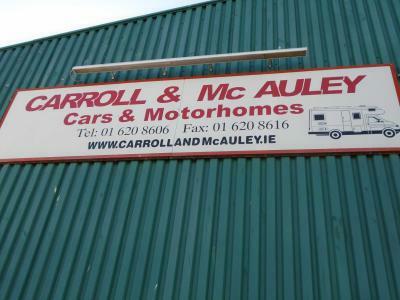 Established in March 1989 by David Carroll & Derek McAuley, Carroll & McAuley Motorhomes Ltd have been supplying new and used Motorhomes and Camper Vans for more than 20 years. Throughout this time period we have built up a large and faithful customer base and a strong reputation for supplying quality vehicles. With more than 20 years experience we can help you choose the ideal new or used motorhome. Our experienced and knowledgeable sales team will guide you through the buying process. We stock a range of berth sizes, make and models.Whether you are looking for a compact two berth, a more family friendly three or four berth or the more spacious five, six or seven berth we can get it.